Klonopin is the brand name of the generic drug clonazepam. Klonopin belongs to the family of benzodiazepines, a drug class that depresses the central nervous system functioning. Other drugs in this category include the brands Xanax, Ativan, and Valium. Why Is Klonopin a Drug of Abuse? Klonopin is available as a tablet, wafer (disintegrating tablet), and a solution. Klonopin tablets scored with a K-shape perforation are yellow and contain 0.5 mg of clonazepam compared to unscored tablets with a K-shape perforation, which are blue and contain 1 or 2 mg of clonazepam. According to RxList, the maximum daily dosage of Klonopin should not exceed 20 mg; however, Klonopin abusers can well exceed this amount, which can lead to overdose and even death. The tablet formulation is susceptible to modification; some Klonopin abusers crush the drug and snort, smoke, or inject it for a fast high. It is important for the public to understand the difference between side effects that occur from non-abusive use of Klonopin, under medical supervision, versus the effects that result from intentional abuse of this drug. Bluelight is an informational forum where illicit drug users share their personal experiences. Although the accounts detailed on the site cannot be verified, if accepted as true, the stories shed light into what it’s like to abuse Klonopin. Reports of a subtle high from Klonopin should come as no surprise as this drug has a slower release compared to other benzodiazepines. Prescribing doctors warn that this drug is only intended for short-term use. Informational sites warn that individuals should not take this drug for more than nine weeks without consulting a doctor; however, many Klonopin users entirely ignore medical advice and take this drug long-term. Klonopin, like other prescription drugs, can be obtained through unlawful doctor shopping for multiple prescriptions, or purchase on the illicit market from drug rings or individuals seeking to unload their prescriptions. The street acquisition cost is relatively low; according to unverified online sources, the street price of Klonopin, called “Kpin” is approximately $1 per 0.5 mg pill. As the National Association on Mental Illness (NAMI) discusses, the term “dual diagnosis” describes a person who experiences a substance abuse disorder simultaneously with one or more diagnosed mental health disorders. According to NAMI, approximately 33 percent of individuals who experience mental illness also face substance abuse. No two Klonopin addicts may share the same psychiatric history or pattern of drug abuse, so taking a look at their benzodiazepine abuse can be instrumental to treatment. For instance, a person lawfully prescribed Klonopin for a condition such as panic attacks, who then abuses this drug, will have co-occurring disorders. But not all Klonopin abusers will require co-occurring disorders treatment. Some Klonopin abusers are poly-drug abusers who combine benzodiazepines with other drugs to create illicit drug cocktails that produce certain desired effects. Although each of these examples involve Klonopin, the substance abusers involved have different drug use profiles that will involve some different types of treatment methodologies. During the intake process at a drug rehab center, a qualified addiction specialist will learn about the incoming client’s drug history and any mental health diagnoses, and then work with a team to create the best course of treatment. When a client presents with co-occurring disorders, there is a resounding consensus in the addiction treatment community that he or she must be treated both for the substance abuse and underlying mental health disorder. Research and clinical practice has well established that treatment of the substance abuse alone is insufficient and would expose the client to a high risk of relapse. Everyone knows that drug abuse is always a slippery slope. However, the difficulty with addiction is that there is no bright line to cross; it can happen without the user’s intention of becoming an addict. In the case of abuse of Klonopin and other benzodiazepines, users seldom understand that they are engaging a drug that is well known to produce severe withdrawal effects. Former Fleetwood Mac singer Stevie Nicks adamantly advocates against Klonopin abuse. In 1986, after completing rehab treatment for cocaine, a psychiatrist prescribed Klonopin for Nicks to purportedly help her to maintain sobriety. Eventually, Nicks entered rehab to treat her Klonopin addiction. According to Nicks, her body endured hellish experiences in withdrawal from Klonopin for the 45-day hospital detox and rehab stay. Detoxification from Klonopin most often involves a medically surprised tapering process. It is well established in the addiction treatment community that abruptly stopping benzodiazepine use is never recommended, and a doctor should always be consulted. It is important to note that at present the U.S. Food and Drug Administration has not approved any drugs to assist the benzodiazepine withdrawal process. However, benzodiazepines are safely used to treat withdrawal effects association with alcohol addiction. During detoxification from Klonopin, a rehab center client can expect medical supervision and, as the medical team deems fit, the administration of over-the-counter or prescription medications to help ease any discomfort. Of course, the tapering process will involve the administration of benzodiazepines, at diminishing dosages, consistent with a treatment plan tailored to the client’s needs. The primary care phase of rehabs starts immediately after detoxification is achieved. Treatment can occur in either an acute care program (residential) or outpatient program (the recovering person resides off site). There are two main dimensions to this phase of treatment: pharmacological interventions (i.e., medication-assisted therapy), and psycho-behavioral therapy. It is necessary to note that treatment for Klonopin, or other benzodiazepine abuse, does not currently involve medication-assisted therapy (MAT). Those who conduct independent research on drug treatment may come across MAT, but it is critical to understand this treatment protocol is mainly limited to the treatment of opioid addiction. Within the area of individual psychotherapy, different theories exist. For instance, according to NIDA, the theory of cognitive behavioral Therapy (CBT) has been proven helpful specifically in the context of benzodiazepine abuse. According to NAMI, CBT is a combination of psychotherapy and behavioral therapy. In a typical CBT session, a therapist and client work collaboratively to identify a problem, such as drug abuse, and then pinpoint the thought patterns underlying drug use behaviors. As the client recognizes the thoughts involved in drug-use decisions, she can intervene on those thoughts and shift direction toward healthier, life-affirming choices. Research shows that the skills learned in CBT continue even after treatment ends. In other words, in CBT, a recovering person learns about her drug use triggers and builds the skills necessary to decide against drug use if or when a real life situation arises that could cause a relapse. Group therapy is considered an instrumental component to the drug recovery process and encompasses counselor-led sessions, member-directed sessions (such as Narcotics Anonymous), and family therapy. Note that CBT has proven an effective theory in group therapy, but other approaches are also successful. Research, clinical practice, and recovering persons themselves have found that group healing offers advantages that cannot be achieved in one-on-one settings. In a group setting, members can share personal stories of drug abuse and recovery. Such an environment can be conducive to tolerance, because of shared missteps in life, and helpful as members share accounts of drug use triggers and success overcoming those triggers. It does not appear from addiction recovery treatment literature that group meetings that center on a particular drug, such as Klonopin, or drug class, such as benzodiazepines, have better success outcomes than mixed groups. A rehab program may have a practice focus on prescription drug abuse, and that can be encouraging for prospective clients who have abused Klonopin or other benzodiazepines. However, the prevailing wisdom in addiction treatment is that rehab is about recovery from addiction, not recovery from addiction to a particular drug. Addiction is considered a “family disease,” and it’s no surprise that family therapy is therefore a vital part of the recovery process. This is a form of group therapy that does not center on the shared experience of drug abuse and recovery, but rather involves everyone in the group who has been affected by drug abuse. Most often, family members or loved ones are pivotal in staging the formal or informal intervention that gets a substance abuser into rehab. The role families play in recovery should not end at the rehab doors. A person who has a history of abusing Klonopin, other benzodiazepines, and possibly other drugs has most likely become a source of pain family-wide. The side effects of Klonopin addiction invariably make the user unavailable to loved ones, which can cause resentment and tension. However involuntarily at first, loved ones can slip into a pattern of enabling the Klonopin abuse such as to preserve the family or home status quo. Even though it’s the substance abuser who goes to rehab, entering treatment (be it acute or outpatient) provides loved ones with some breathing space to step back and consider their role in the addiction. Forms of family involvement vary among treatment centers. Offerings can include scheduled family therapy sessions led by a licensed therapist, family educational programs related to drug abuse, and family days intended to help members bond and communicate. Even if a treatment program does not offer family members or loved ones the opportunity to participate, attendance at Nar-Anon meetings is always advisable. The prevalence of Nar-Anon meetings, dedicated to family struggles with addiction, is a testament to the ripple effect of addiction. Entering rehab brings addiction out of hiding and creates an opportunity for all involved to heal. Such healing can also help to prevent a relapse. A healthy family dynamic is an important part of maintaining sobriety. One important principle discussed in rehab is that recovery does not end when the intensive part of treatment concludes. Addiction specialists agree that aftercare is a necessary part of the recovery process. Aftercare is not a fixed program, but rather a set of different services that a recovering person can stitch together to design her own plan. Further, aftercare is dynamic; different programs or services can be engaged over time. The key is to have an effective plan in place, not any one particular plan. Aftercare is not only an anti-relapse measure, but also a way to continue the important life skills learned in rehab. Maintaining abstinence is not only about illicit drug avoidance, which alone is a poor strategy, but about developing a healthy network of supporters and a solid infrastructure for living a sober life (such as having a job, spending time with sober friends, and engaging in healthy recreational activities). Although NIDA found that the drug addiction relapse rate is 40-60 percent, further development in rehab services, including aftercare, can help to improve this statistic. 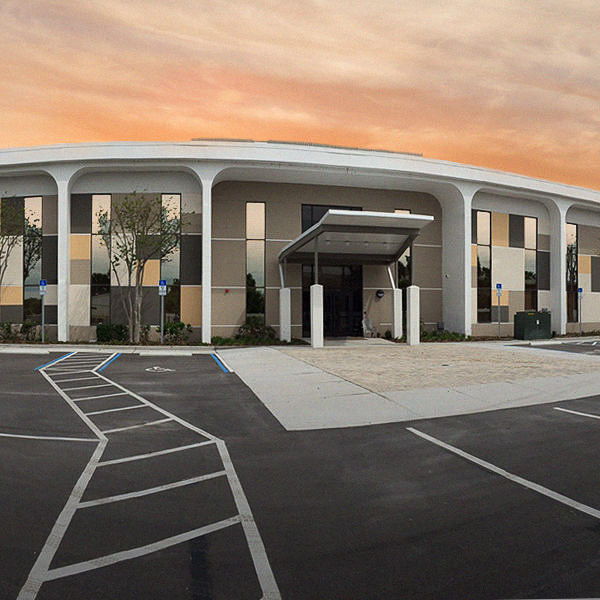 The expert addiction team at Orlando Recovery Center is dedicated to helping clients achieve and maintain long-lasting recovery. 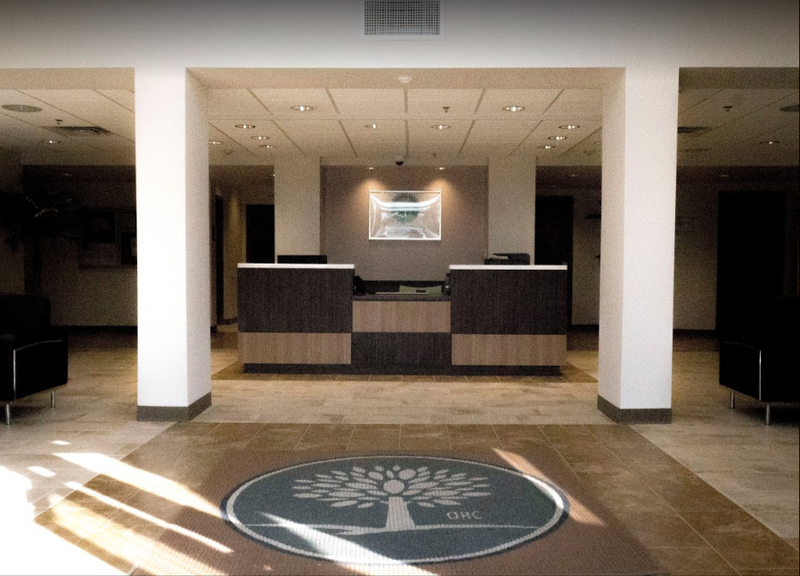 As a multi-service rehab, Orlando Recovery Center offers a full continuum of services, including detox, acute and outpatient treatment, aftercare, and extended care options.